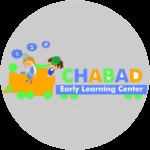 Chabad has provided my child with the most wonderful introduction to school. The teachers are so loving, observant and engaging, and - with three to a classroom - very hands on. My child is shy in new situations but she wakes up each day eager to get to class. She has really blossomed at Chabad. I have one graduate and 2 children currently in Chabad of the West Side. We are so fortunate to have this incredible school available to us. The atmosphere is so nurturing and warm. Each of my kids is so unique and is treated like a superstar and loves loves loves their school and teachers. My husband and I learn from the teachers - how to be patient and loving and take pause to remember - as hectic and stressful as life can be - these children are our worlds.. We also love how the school is kind of like community. The year doesn't end in June and the week doesn't end on Friday. The staff works overtime to offer programs that run through holiday, weekend, summer, vacations - They somehow make this big city feel like a small town. Thank you Morahs and staff!!! We love you! Hands down the best preschool ever. Warm and nurturing. The teachers are totally in tune with each child. Always respectful and conscious and caring. If CELC continued through high school I would keep my kids there! We love it and they love it. Can't say enough good things about it! Our third son started at Chabad over the summer in 2016. From the first minute he walked through the doors, he was greeted with love and care. All of the Morahs and Rabbis at CELC have welcomed us into the community with welcome arms. We cannot be any happier with the nurturing environment, level of learning, attention to detail, parent involvement and extracurricular activities offered throughout the year. Our son is excited for each new day and is eager to learn. We are amazed by how much he has grown and flourished in the time he has spent at CELC. Our family has come to befriend other like-minded parents and are proud to be part of such a warm, welcoming community. The learning at Chabad goes beyond the Alef Bet, beyond the chagim, beyond Shabbat ... the children are learning more than the importance of mitzvot and tzedakah, more than a love of Torah... they are learning what it means to be kind to your friends, to be good people. My son loves the routine and rhythm, the song and dance and we love to see all the happy faces every day.